A pilot reported that the main rescue bridle failed at the shoulder connection points following a rescue parachute deployment. An investigation by Gin Gliders has revealed that the connection on the concerned harness may have been weakened by a previous rescue deployment. 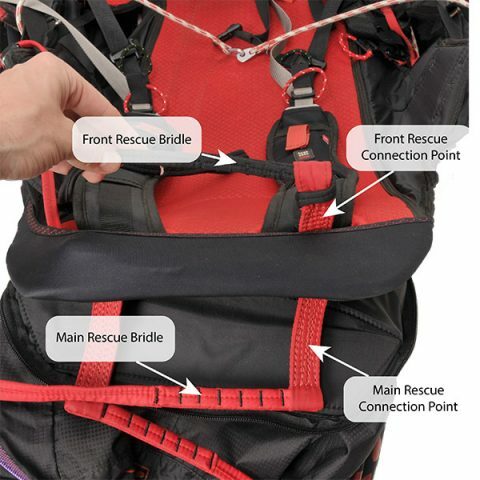 Further tests on other Genie Race 3 harnesses have concluded that the main rescue bridle connection exceeds the minimum certification standards. Tests on the shorter front rescue bridle have demonstrated that the front bridle connection is good to over 2000kg. 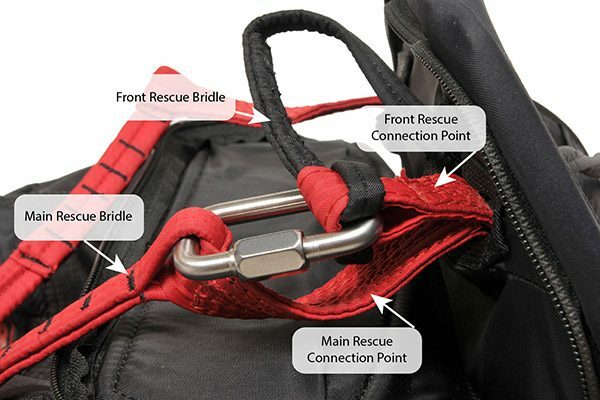 Any pilots who have previously deployed their rescue parachute should re-check their rescue bridle connection point before their next flight. Gin Gliders recommend that all Genie Race 3 pilots use steel maillons (rated to over 1000kg) to connect each main rescue bridle to the front rescue bridle connection point as shown in the photos below. A pair of maillons can be obtained free of charge from your GIN distributor. If you have any questions or concerns, don’t hesitate to contact your GIN distributor or Gin Gliders directly.